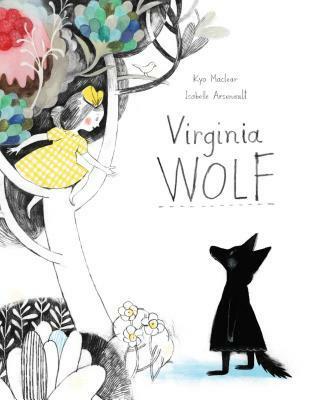 I don't often review children's books on this blog, though I read quite a few (I have three kids, after all). But I recently found several that I thoroughly enjoyed and wanted to pass along. This book held my boys entranced through several readings. Mirette is the daughter of a widow who runs a boardinghouse in 19th century Paris. One day a man named Bellini arrives, describing himself as a "retired high-wire walker" and keeps mostly to himself until the afternoon when Mirette walks out to the courtyard and catches him crossing on the laundry line! She begs him to teach her and persists, despite his discouragement. Seeing her determination, he agrees to teach her. 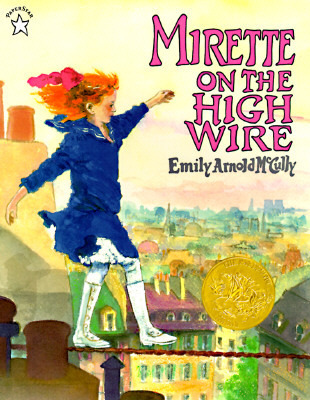 Delightful story about a girl who works hard, achieves her dream and inspires others. I get choked up every time I read this autobiographical book. Ms. Polacco tells the story of her Russian ancestors who came to the United States and made a quilt to remind them of their homeland. Through six generations of women, the quilt served as a tablecloth, picnic blanket, wedding huppa, baby wrap, lap quilt, bedspread, and a cape or tent in Patricia's childhood imagination. The Keeping Quilt stirringly highlights the cyclical nature of life as children are born and grow up, get married and grow old, and die. The artful use of color emphasizes the power of the quilt as a symbol connecting their family throughout generations, stretching on and on. This is a definite favorite. Little Alice loves and admires her grandfather and wants to be just like him. She, too, wants to travel to faraway places and live beside the sea. That's not enough, her grandfather tells her. She must also "do something to make the world more beautiful." 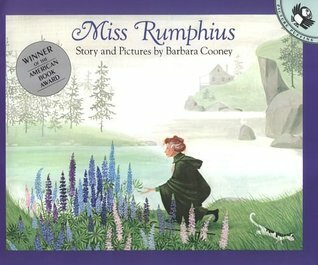 As Alice grows up, she becomes Miss Rumphius, the librarian, and lives by the ocean. She travels to tropical islands, tall mountains, jungles, and deserts, and then settles down, again by the sea. Puzzled by what she can do to make the world more beautiful, she finally stumbles upon the answer, and inspires the younger generation to do the same. Love, love, love this ridiculous little book! 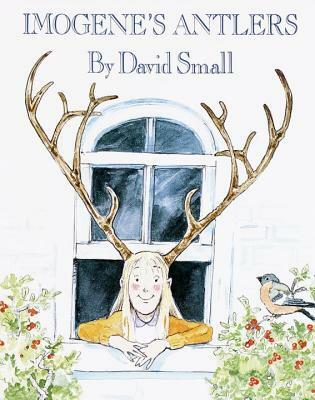 Imogene wakes up one day to discover she now has antlers, and not inconspicuous ones. It's a great exercise in imagination; just how would your life be affected by the sudden appearance of obnoxiously large antlers? How would you get dressed? How would you get through the doorway? What useful tasks could you complete with antlers? And watch out for the chandelier! The next morning the antlers are gone, but Imogene isn't quite back to normal... The illustrations are occasionally laugh-out-loud funny and have great specific details that highlight the hilarity of the story. Great book to read aloud with kids. This beautifully illustrated biography introduced me to a woman I have never heard of before. (That's what I get for not being Catholic!) 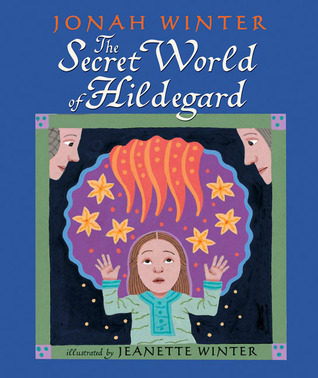 Hildegard was a German abbess in the 12th century who was remarkably accomplished. From a young age she received divine visions, which eventually were written down and presented to the Pope. He approved of her visions and they began to be shared far and wide. Despite her fame, she humbly declared, "I am just a poor, little woman...I am just a feather on the breath of God." She composed beautiful music, she wrote widely on many scientific and religious topics, she became a respected preacher, she conversed with kings. What an impressive woman! 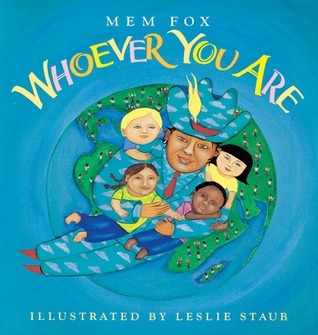 One of the most important messages we can teach our children is simply and stunningly portrayed in this short picture book. "Little one, whoever you are, wherever you are, there are little ones just like you all over the world." There may be many differences between people, "but inside, their hearts are just like yours." Bright, almost geometric, illustrations dazzle the eye and with a multi-cultural and multi-ethnic cast, emphasize the message that despite our differences, the similarities between us are stronger. "Joys are the same, and love is the same. Pain is the same, and blood is the same. Smiles are the same, and hearts are just the same--wherever they are, wherever you are, wherever we are, all over the world." Amen.